Here’s a cheat sheet to help you complete the Season 7, Week 10 Fortnite Challenges. How to unlock stage 3 of the Prisoner skin. Upon completing 4 of the 7 challenges, players will be rewarded with 10,000 season XP. 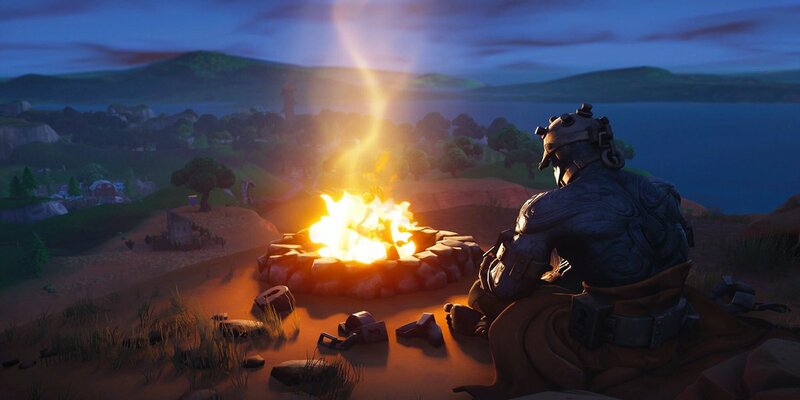 If players complete all of the week 10 challenges, you’ll unlock the Season 7, Week 10 Snowfall loading screen that’ll provide the location of the hidden banner. 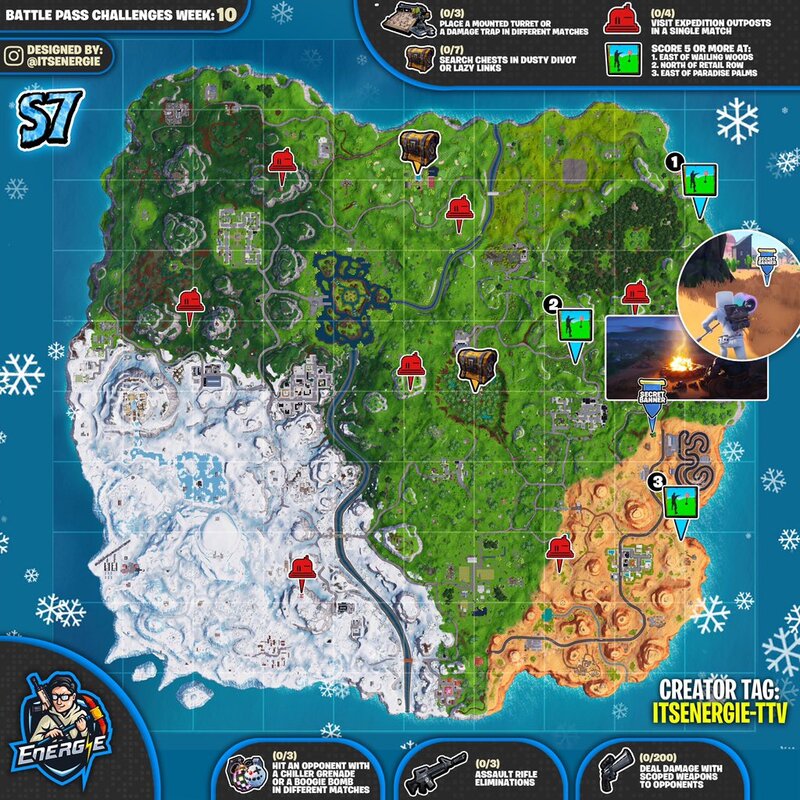 The cheat sheet marks the locations of the shooting galleries, the expedition outposts, and the hidden banner location for Snowfall week 10. The majority of the challenges for this week don’t require a cheat sheet. Usually there are only 10 weeks of challengers per season however, Epic extended the length of the season to 12 weeks, and in a post regarding Fortnite Creative challenges, they mentioned there will be Season 7, Week 11 challenges.